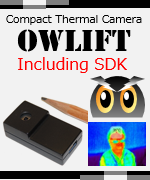 OWLIFT have a temperature output function. 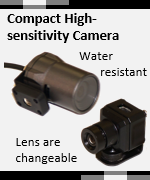 The temperature level of each pixel is calculated by the infrared radiation strength as an output level of the infrared sensor, temperature of sensor in itself, and correcting expression for the sensor’s characteristic. We are doing research on improving precision of the temperature output.